Do you attend a Remembrance Day service each year? 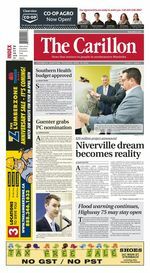 Do you believe Steinbach is able to achieve the same success as Niverville in securing support for recreation and cultural development? Would you support the Progressive Conservatives if an election is called before the fixed election date in October 2020? Should the City of Steinbach provide financial support to the Steinbach Chamber of Commerce? Should municipalities help fund the construction of child care facilities? Will the new federal budget win your support for the Liberals in October's election? Are you pleased with the provincial government's new budget? Do you support Andrew Scheer's call for Prime Minister Justin Trudeau's resignation? Are you excited for the arrival of Hometown Hockey? Are you concerned about plans to change the name of the Emerson constituency to Borderland? Do you think the Liberals will be re-elected in October's federal election? Should the province explore removing the taxation powers of school boards as part of its education review?